Can you figure out the details in a contest of Rock, Paper, Scissors? Use the clues (reveal by clicking 1-6 under the 'Clues' header) to decide who played whom and what and when. Click on the hand symbols to select Rock, Paper, or Scissors for each player's throws. The puzzle solution is given in the 'Source' link. Rock beats Scissors, Scissors beats Paper, Paper beats Rock. 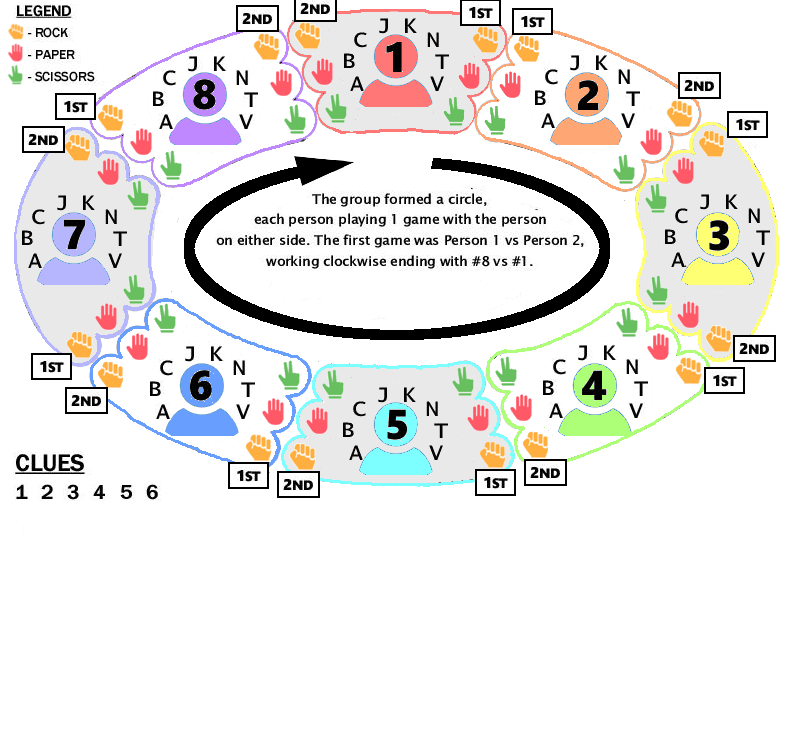 Background ("Clue 1" in the Solution): Beth and Jane set up a Rock-Paper-Scissors contest along with Tammy and five other friends. Tie games (eg., ‘Paper’ vs. ‘Paper’) stand as is and are NOT replayed. 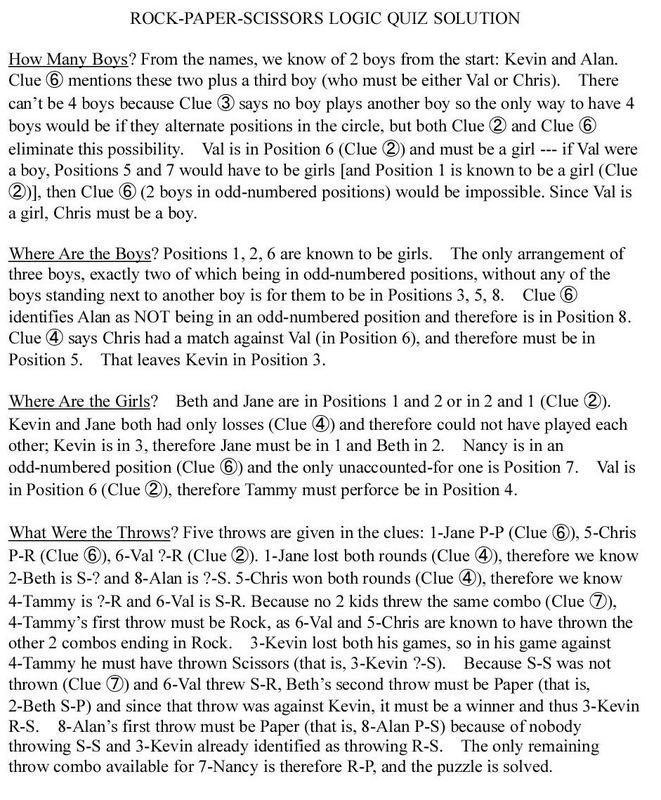 Names reflect traditional gender assignments; 'Val', 'Chris' might refer to either a boy or a girl.